We promise to provide you with honest, practical advice and intelligent, effective representation. We practice in Travis County and in surrounding counties throughout Central Texas. Call us at (512) 480-9777 and let us know how we can help you. Originally from Port Arthur, Texas, Sam D. Colletti made his way to Austin via San Antonio, where he completed his undergraduate studies at Trinity University. 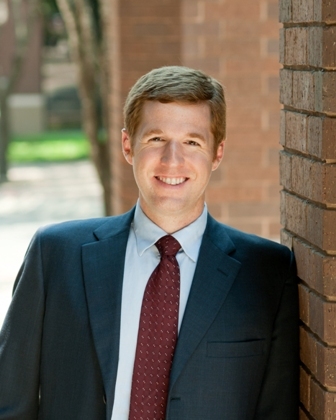 Since graduating from the University of Texas School of Law, Sam has been in private practice in Austin. Sam’s legal experience includes representing and advising clients in divorce, child custody, enforcement actions, relocation and interstate custody actions, estate planning, probate, entity formation, general civil litigation, criminal defense lawyers near me and consumer bankruptcy. Family law is now the exclusive focus of Sam’s practice. Sam primarily represents Austin-area clients in divorce and custody litigation. Sam brings a breadth of legal experience to his practice that gives him keen insight in crafting creative, functional, and cost-effective solutions to the dynamic issues of family law. Sam is sensitive to the personal nature of family law disputes, and is dedicated to providing the individual attention each client deserves. Sam was admitted to the Texas bar in 2005 and a year later was admitted to practice in the United States District Court for the Western District of Texas. Sam is a member of the College of the State Bar of Texas, the Family Law Section of the State Bar, the Austin Bar Association, the Austin Young Lawyers Association, and the Texas Family Law Foundation. Sam is a member of the Young Men’s Business League of Austin, and is an avid fan of Texas Longhorns sports. The most important relationships in your life are those with your family, especially your spouse and your children. When these relationships become strained, and personal conflicts turn into legal proceedings, you need honest, practical advice. In such difficult times, many people will be quick to offer their opinions. But reliable insight and clear direction can be given only by someone who takes the time to listen to you, and who has the experience to understand the whole situation: legal, financial, logistical, and psychological. Sam Colletti has the legal experience and personal compassion to give you the honest, practical advice you need when family relationships are at stake. Truly effective legal representation boils down to three dynamics: your lawyer’s relationship with you, the client; your lawyer’s dealings with the opposing attorney; and your lawyer’s presentation to the court. To build a trusting attorney-client relationship, your lawyer must treat you with courtesy and respect, must be accessible to you, and must communicate with you in a way that is understandable and consistent. In dealing with opposing counsel, your lawyer should be firm but ethical. And in presenting arguments to the court, your lawyer must precisely define your goals and then help you tell your story thoroughly. Sam Colletti knows that intelligent, effective representation depends on cultivating his clients’ trust, the respect of his colleagues, and credibility with the court.